Another set piece, another goal conceded. Liverpool’s poor and sometimes shocking defending once again proved to be their undoing. It is difficult to fathom how a top 6 club continues to concede goals from the most basic set-plays. Swansea scored from their only shot on target and the goal was a gift handed to them by the Merseyside club. It’s difficult to understand how pundits and fans thought that the acquisition of Dutch defender Virgil van Dijk for a world record fee was the solution to the problem. Liverpool’s problems run deeper than just a single player. To understand the root of the problem, it’s important to understand how Liverpool sets up on the pitch. Jurgen Klopp prides in his side’s ability to press teams high up the pitch and force them into committing mistakes that their clinical attackers convert with minimum fuss. One just has to watch a few of their highlights to understand how ruthless they can be. This high energy and intensity approach comes with it’s own peril. You see committing the three attacking players and two central midfielders to apply pressure on opposition players leaves only one holding midfielder as a shield for the defenders. Klopp encourages his full backs to join the press high up the pitch which leaves the team short of cover at the back and vulnerable to the counter attack. Now, one would say that it is effective way of gaining an upper hand on the pitch but it is important to state how exposed it leaves the defensive part of the team. Van Dijk is an exceptional defender. He is perhaps the most gifted centre back in the entire division. He is so comfortable on the ball and is blessed with the pace to deal with some of quickest wingers around. However, he can’t do it all alone. Throughout his career he has had support from his teammates and is mostly shielded by his holding midfielders. His ability is mostly evident in last ditch situations where he comfortable deals threatening situations . This Liverpool team isn’t set up to protect the centre back. He will be exposed several times and will undoubtedly be caught out on many occasions. One player isn’t enough to solve all the problems. The team’s tactics requires some tweaking. It will bode well for Klopp if he reduces the number of players he commits to the press and sacrifices the high intensity approach for some form of stability in defence. 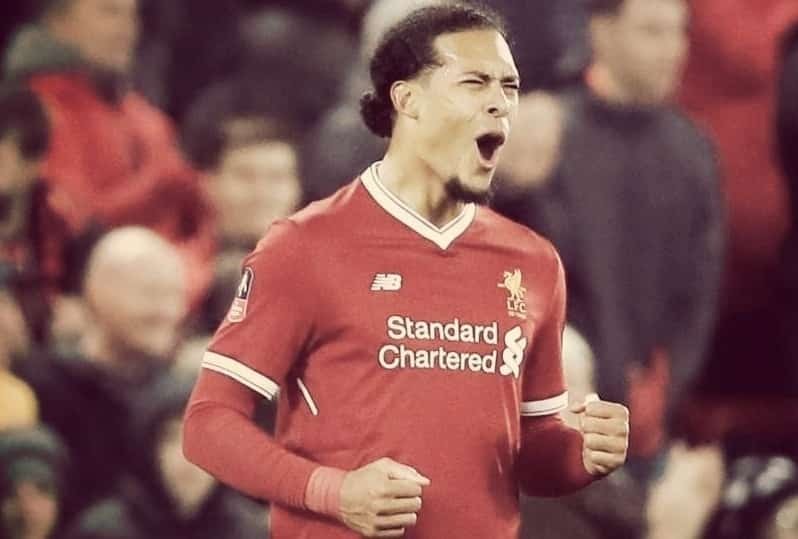 Van Dijk will also have the problems that Lovren and Matip have encountered before him unless Klopp puts more attention to defensive solidity to ensure that even as his attackers rip teams apart, his defenders are sufficiently protected.